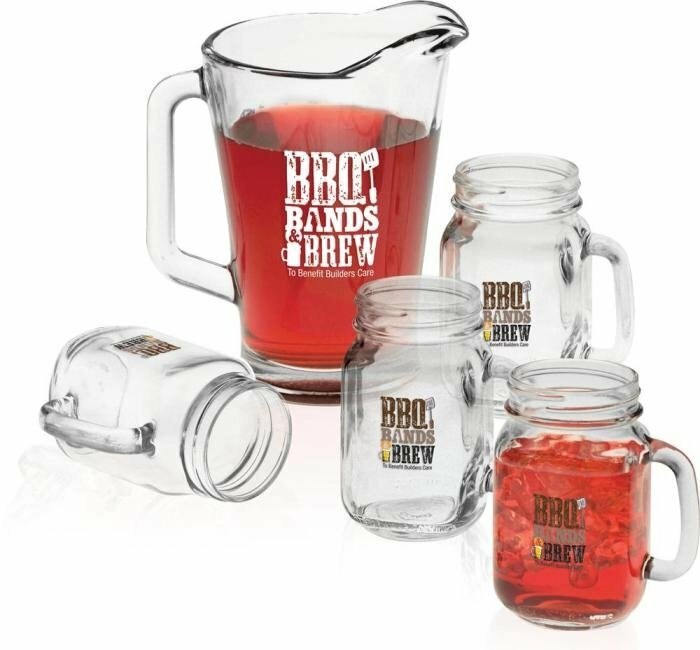 Serve up your logo in this Deluxe Pitcher & Deluxe Mason Jar Mugs Gift Set at best price. Applications do include company, client, employee gifts. Wonderful gift set for all. Price includes one color imprint on each glass in area 1 1/2" w x 1 7/8" h and. 4CP Imprint is available on the mugs ONLY.